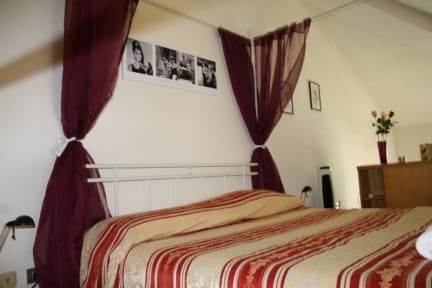 Romeo And Juliet B&B i Bergamo, Italia: Bestill nå! Romeo and Juliet B&B is a quite and nice Bed and Breakfast with rooms and small apartments. Travelers and tourists from all over the world are welcome. We've a wealth of experience in hospitality and know what tourists value and need during their stay. In B&B all rooms are provided with a private bathroom and all the necessary comforts and peaceful atmosphere. 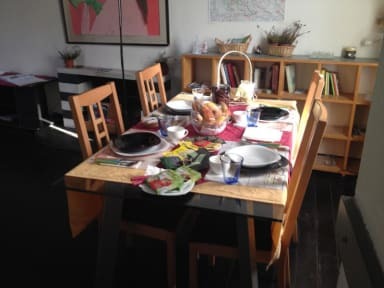 Italian style breakfast is served in a living room. Gabriel and Evgeniya, the owner, provides a discreet presence ready to help and assist the guests in all their needs. In every roomsor apartment can stay 2, 3, 4 untill 6 people comfortably, there are a living room, a bed room, bathroom with shower and bath, kitchen where guests can make themselves breakfast, a hearty meal or quick snack. Here you will be surrounded by a host of shops, restaurants, banks, supermarkets and boutiques. At your arrival you will be welcome cordially and with kindness.